Art of the Switchblade is a full-color hardbound book which features 79 of the world’s finest antique switchblades. Beautiful full page photographs of superb examples of featured knives rarely seen along with descriptions of the knife in detail and its history. 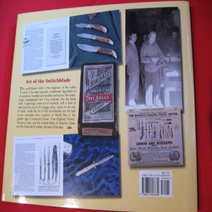 160 pages that focus entirely on vintage automatic knives dating from the 1830's up to World War II. 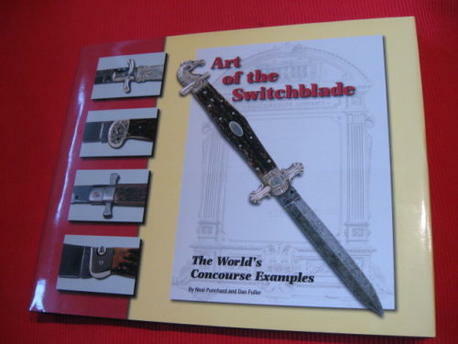 No previous book has included switchblades from England, France, Germany, Italy, and the United States along with accompanying ephemera and comprehensive information. Starting with an introduction explaining the origin and development of the switchblade knife, from the very first spring bayonets on firearms through the legacy of George Schrade, Neal Punchard and Dan Fuller did wonderful job of putting everything into perspective, sharing their knowledge and love for vintage automatics with us. 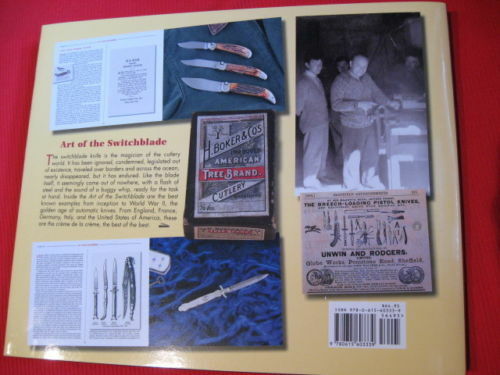 Without a doubt the best summary of switchblade history, not only for the switchblade collector but for all knife enthusiasts.